This year for Small Business Saturday we are going all out! 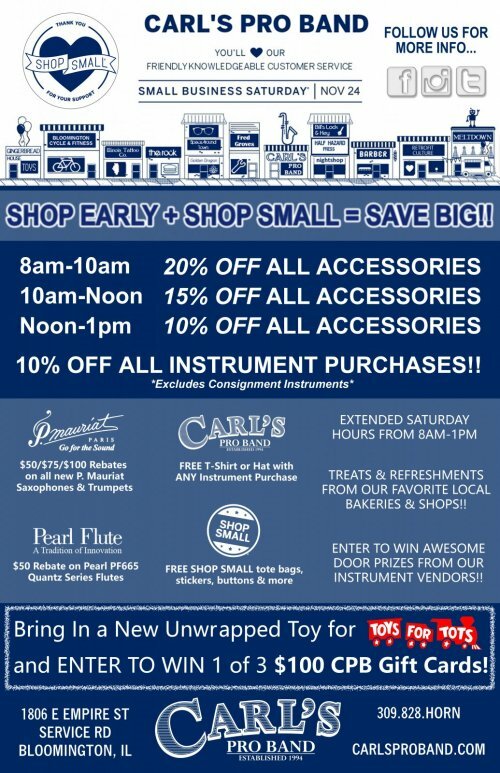 We'll have specials all day on instruments and accessories, giveaways for everyone that stops by, snacks and refreshments from our favorite local spots and lots of other fun surprises. Be sure to mark your calendar and join our Facebook Event to receive updates and more information!